Be ready to defend yourself! 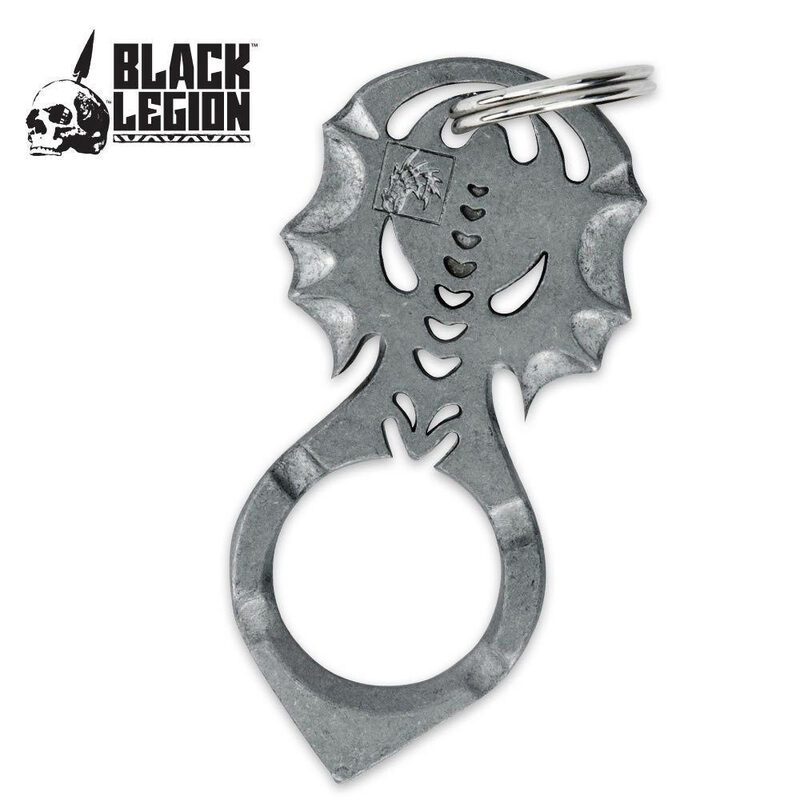 Part of our Extreme Steel Spike Defender self-defense series, this model is extra thick, tough, and highly capable. Forged from a solid piece of steel with slate color finish, the mouth of the dragon becomes a finger grip when clutched in the hand to create an excellent means of self-defense against an attacker. This item also serves as an emergency window breaker, a bottle opener and, of course, a key ring. This keychain looks non-threatening, is easy to carry, and can provide peace of mind. Measures 3 1/2 in. overall. The finger hole on this product has a 1 in. diameter. I put this on my key chain and it was a little heavy o that use but, it can do some damage. I punched a very deep slit in my wall at home. I do not recommend doing this due to the fact that i had to fix it myself and turned out to be more work than i bargained for. Good buy. Neat little keychain. It does NOT open bottles, dissapointed.